What is disturbing about some of the New Age publications is that they are overflowing with bright, confident ads suggesting how easy a spiritual awakening is. Even the articles tend to glow likewise but these rarely deal with the ugly, the disturbing, the self-acquisitive features and mediocrity of the mind. With the intention of improving the quality of their lives many build their homes close to nature, or surround themselves with green-filled gardens. 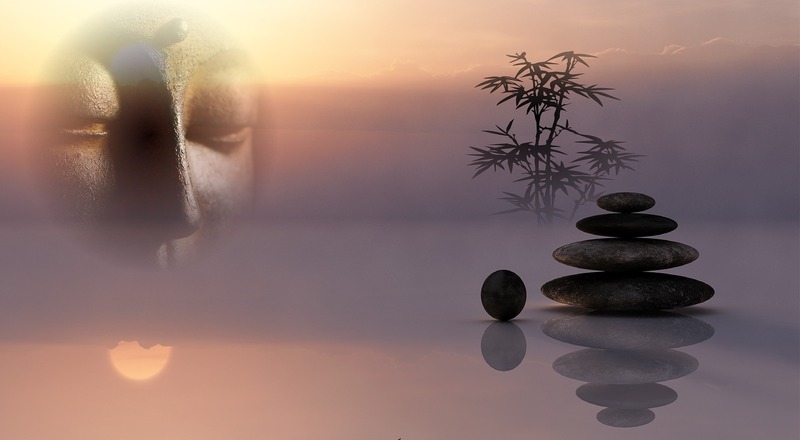 New approaches are tried to awaken the latent spirituality but until the human expression is anchored in spiritual stillness, it will not draw on what it needs to keep the darkness of the mind at bay. The journey to our spiritual heartland is the most difficult of all. It is not always smooth sailing, all sweetness and light, joy and sunshine. The mind throws up too many obstacles for that, is too prone to create difficulties through its self-centred obstinacy. Often, the journey turns out to be a travel through much that is disturbing, dark and certainly self-centred, taking the self through all the shades of darkness the mind is capable of. For sure, the light breaks through strongly at times and irradiates the mind with its own brand of sunshine. If this didn’t happen we would never see our way clear at any time. But the self is persistent in its return. It has so much capacity to disrupt, to re-establish itself in its own right and this is not quickly diminished regardless of expectations or intentions. Spiritual learning is a long, slow hike through difficult country, through rough mental and emotional stretches with wonderful splashes of sunshine in between. In no way do we dodge the ugly, distressing side of human nature. If we do not face and understand the disturbing features we reflect, they will always surface and hinder the free-flowing expression of our spiritual nature. Be prepared then, those who would travel the spiritual path. The way is lined with pitfalls, with rough travel over difficult terrain. Inevitably, because we are creatures of the Sunshine, the brightness will come through and triumph over the dark overtones cast by the mind in its individual journey through life. Just do not expect to escape scot free, without a severe mauling from time to time. A mauling thrown up by the mind’s persistence to dominate its own movement in its own way in defiance of the higher spiritual directive, which decrees otherwise. Categories: Spiritual | Tags: Enlightenment, Joseph Raffa, living a spiritual life, self discovery, Spiritual awakening, the Kitchen Table Philosopher | Permalink.